Bridges are functional and beautiful architectural creations that we see in almost every city in the world. Depending on their style, they give a specific flair to the city. All bridges have a history and often a unique beauty. Some of them don’t get any special attention and simply connect the two shores just to serve the people, but there are also bridges that receive a lot of attention from tourists and world travelers. 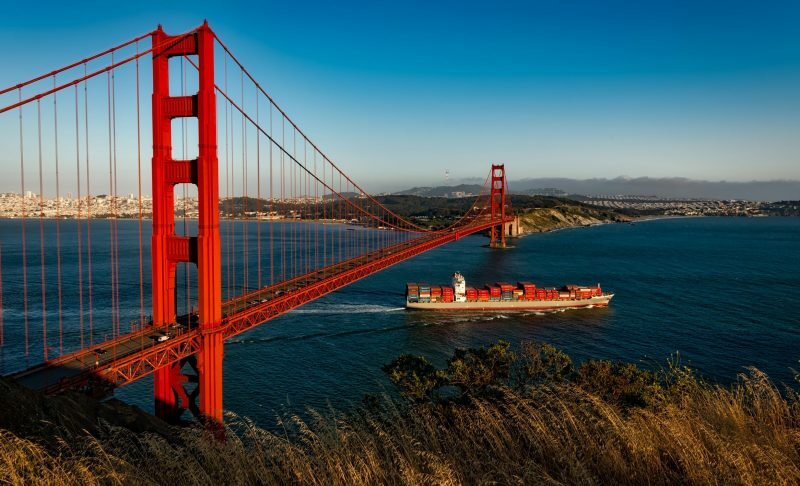 Love stories, secret passages, and mysteries are some of the characteristics connected to the world’s most spectacular bridges. This outstanding bridge was built by the Dong people in China, and it was constructed only of wood and stone. This type of bridge is proof of the architectural brilliance of the Chinese. There is not a single nail or bolt that holds the bridge together which is absolutely unbelievable. This bridge is one of the highlights of Chinese architecture and is a must on your favorite bridges list. The unbelievable building skills of the Romans are perfectly shown in the Pont du Gard Bridge. It was actually an aqueduct back in the days, transporting water to the Roman city of Nemausus. Pont du Gard was built 2000 years ago, and even at that time, it was able to bring around 5 million gallons of water to the city every day. 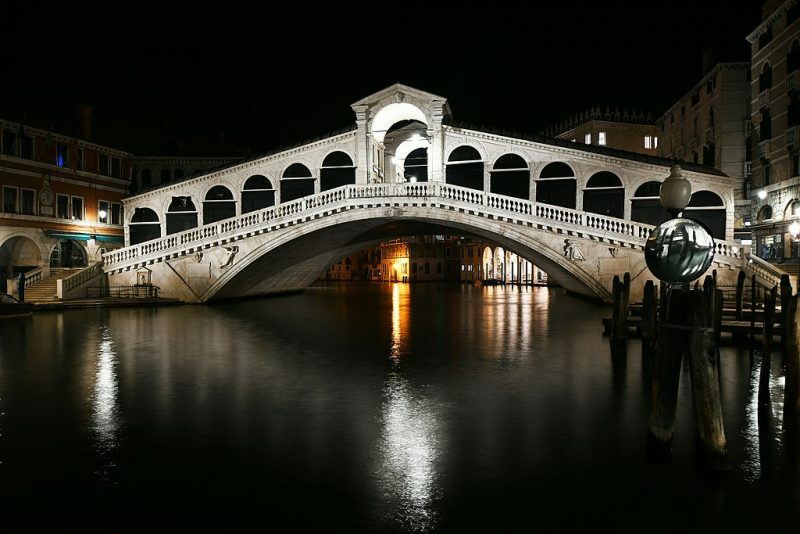 One of the most important landmarks you see when you go to Venice in Italy is the Rialto Bridge. The bridge covers the famous Grand Canal in Venice and has a unique form, one that attracts many romantic couples to take pictures. Standing on the bridge and staring at the gondola boats is an experience that you will never forget. One of the main tourist attractions in Singapore is this modern mesh of glass and steel. The bridge has amazing blue illumination at night which works perfectly with the modern style of the construction. 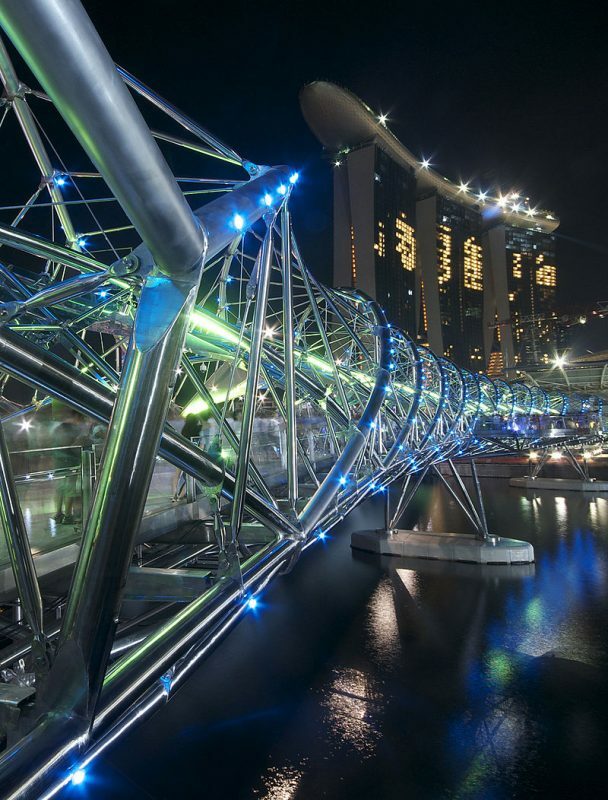 People that love high tech constructions will be amazed to see Helix Bridge. 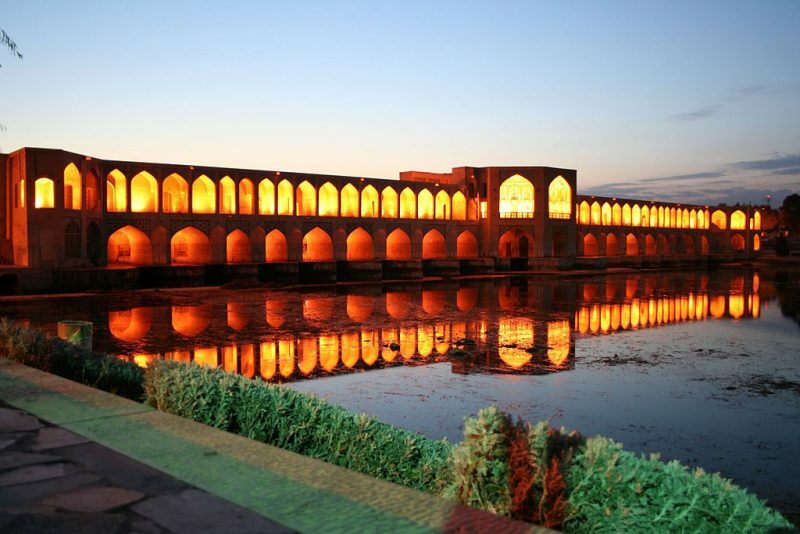 The Khaju Bridge is a beautiful structure built in the 17th century by Shah Abbas II and is still a fully functioning dam that carries water to the gardens along the Zayandeh River. In the center of the bridge, there are two huge pavilions that were reserved only for the Shah’s use back in the days, but now the same ones are open to the public. Florence is home to the greatest artists in the world and the Ponte Vecchio bridge is a clear proof of it. The medieval bridge is one of the most beautiful attractions in Florence that every traveler must visit. The bridge spans the Arno River, and it’s full of souvenir shops, jewelry, luxury items where you can buy all kinds of things that will remind you of Florence when you get back home. The Golden Gate Bridge is definitely one of the most photographed bridges in the world. Its construction lasted more than four years, and the project cost 27 million dollars. 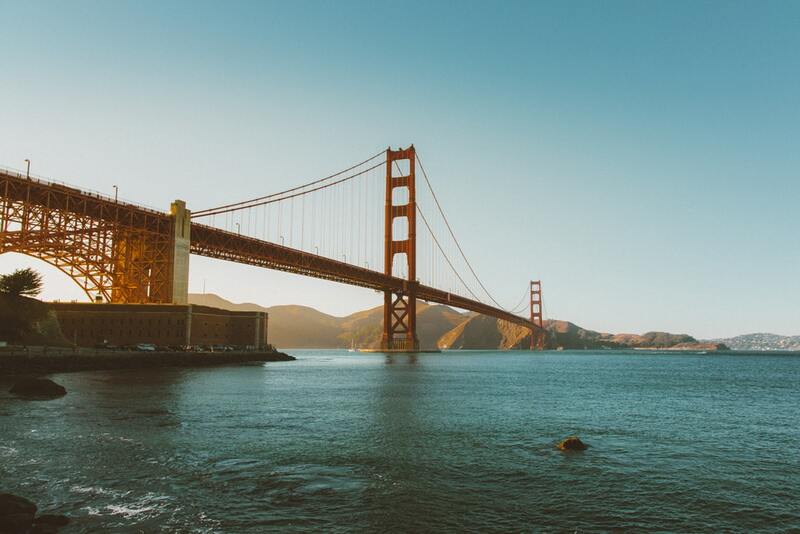 The Golden Gate Bridge is the most famous landmark and probably the only thing that you recognize as being from San Francisco right away if you see it in a photo. Spanning the straits connecting San Francisco Bay and the Pacific Ocean since 1937, the Golden Gate Bridge easily became the most recognizable bridge in the world thanks to its red hue. If you are a traveler that enjoys visiting the popular landmarks in each city you visit, then maybe a bridge tour around the world is your next big journey to undertake. Enjoy these beautiful constructions and good luck!